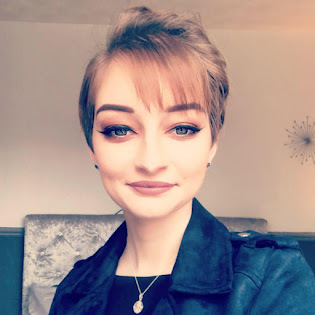 So I was kindly sent a few bits and bobs from Dr Zak’s to try out and review and I’m finally here to talk about what I liked and disliked when it came to the products I was sent. First up is the High Protein Clusters which I will admit I really wanted to like this but in all honesty I couldn’t eat them, I’m new to the whole protein snacks anyways but I just couldn’t get myself to like these no matter how much I tried. 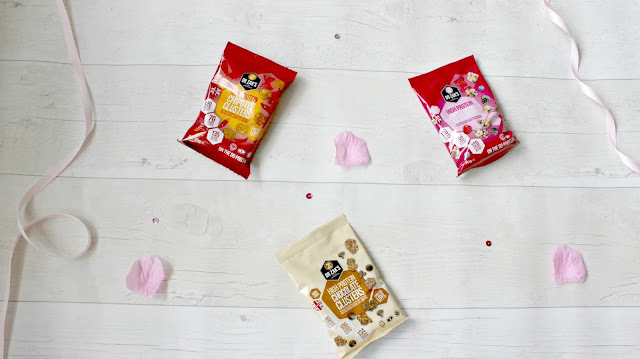 I got sent three different flavours which were chocolate clusters and I love anything with chocolate which the chocolate on these were delicious but as for the clusters I just found them a bit too bland for my liking so these didn’t go down well for me. I will say though they are the perfect size to fit in your handbag to carry around for that little snack which you need after a busy day. The next flavour was Fruit & Yogurt which again I expected these to be very sweet but if anything these were a lot more up my street as I found them quite tasty when it came to eating them and it just fixed that sugar craving after a busy morning so I actually did quite like this flavour. The last flavour was Chipotle which I didn’t even attempt them as I just thought they would be a little too hot for me to actually eat them so I got Luke to give them a try which he actually found them nice enough to eat so they went down a treat – Overall the clusters are the perfect snack to carry in your handbag but they just wasn’t my kind of thing but I do recommend giving them a try. 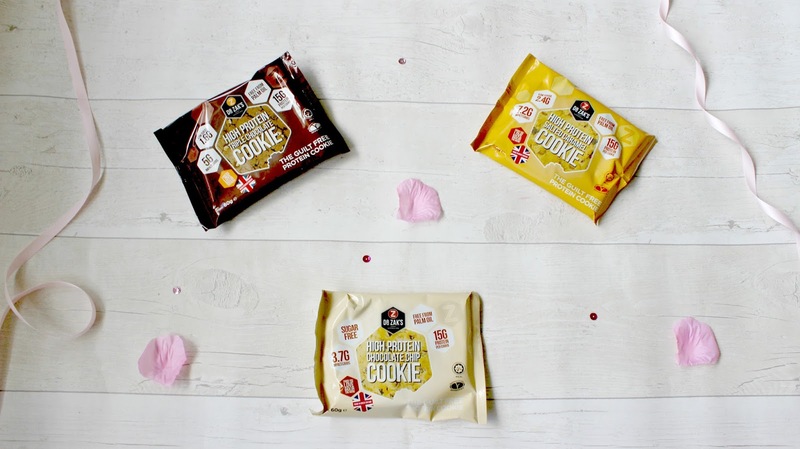 I then got sent three of the Protein Cookies and I honestly couldn’t wait to give these a try as I’ve said I love anything sweet so these were by far up my street so I feel as though I knew I would love these either way but these were amazing! 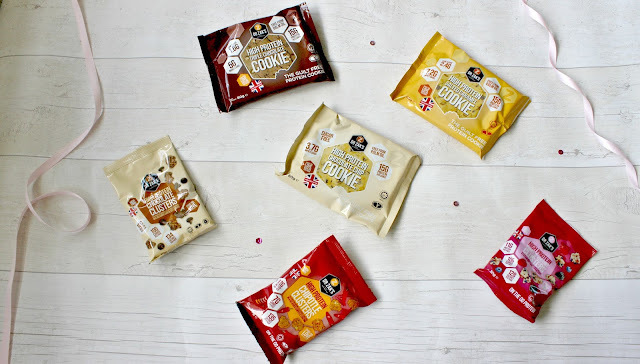 So the first flavour was triple chocolate and I just have to say all the cookies were so lovely and soft to actually eat they were amazing and I did find them quite filling so again it stopped the sugar craving because your mind does think you’re eating something sugary when actually your not – Perfect! So the triple chocolate was very chocolatey but for me that was perfect and I love having this with a cup of tea at my desk. The next flavour was Chocolate Chip which of course is the standard cookie so I got Luke to give this a try too and he really enjoyed this and like he said even though they had no sugar in you really couldn’t tell whatsoever. Last but by far not least is the Salted Caramel flavour and I have to say this was my favourite which I never thought I would like Salted Caramel but I really liked it in these cookies and again it was just lovely to sit and eat at my desk – I honestly would really recommend picking these up if you see them in your local supermarket or petrol station they are amazing!! Have you tried the Dr Zak’s snacks?